Which FICO® Score version matters to me? Billions of FICO® Scores are used in credit related decisions every year. They can help you qualify for the best loan rates, terms and promotions. Understanding your FICO® Scores and what they mean to you is a critical part of your financial health. When you apply for credit  whether for a credit card, auto loan or mortgage  lenders want to know what risk they'd take by loaning you money. To evaluate this risk, lenders will often pull a credit report and credit score. The most widely used credit scores are FICO® Scores. In fact, FICO® Scores are used in over 90% of U.S. lending decisions1, helping lenders make decisions about extending credit and at what terms and rates. Your FICO® Scores are based on a complex, scientific algorithmic assesment of the information in your credit report. FICO® Scores provide an unbiased and proven way to evaluate a consumer's credit risk  helping consumers like you obtain credit more quickly and fairly. Your FICO® Scores are based on your credit decisions and your credit decisions only  as captured in your credit reports. Every time you open a credit card or make a car payment, you’re adding to your credit history  the very history that FICO® Scores evaluate. Ultimately, it’s up to you to develop healthy, responsible credit habits that will have a positive impact on your FICO® Scores. To even receive a FICO® Score, you have to have enough recent information in your credit report. Generally, that means you must have at least one account that has been open for six months or longer and at least one account that has been reported to the credit bureaus within the last six months. Essentially, you have to be actively using your credit to receive a FICO® Score. When a FICO® Score is generated, it’s based on five key factors in your credit report. There are three parts to the FICO scoring process: the credit bureaus, your credit reports and your FICO® Scores. Let’s start with the bureaus. The three major credit bureaus are Equifax, Experian and TransUnion. They house your credit data. When you get a new loan, make or miss payments on loans or use a credit card, it’s common for your lender to report this information to the credit bureaus. The information stored at the credit bureaus is represented in your credit reports. Your credit reports contain information about your credit history including loans, credit cards, inquiries, payments and more. It’s common for your credit reports to be slightly different at each credit bureau as lenders can report to any, all three or none of the credit bureaus. 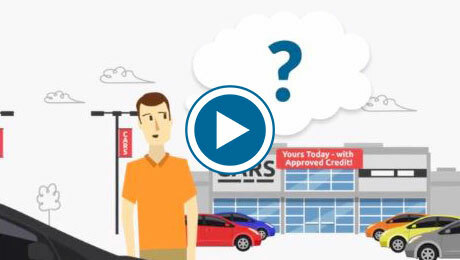 Finally, your FICO® Scores are based on the data in your credit reports. When your lender obtains a credit report, they may also request that a FICO® Score be included to help them better understand the information in your report. Both your credit reports and FICO® Scores can vary from bureau to bureau, and your lender may pull your report and FICO® Scores from any or all three of them. People have more than one FICO® Score and each lender determines which FICO® Score version they will use when assessing your credit risk. By accessing and understanding the most commonly used FICO® Score versions, you can have a more comprehensive understanding of your credit picture. FICO® Score versions can be broken down into two major categories: "base" FICO® Scores and industry-specific FICO® Score versions. Base FICO® Scores are designed to predict the likelihood of not paying as agreed in the future on any credit obligation, whether it’s a mortgage, credit card, student loan or other type of credit. There are multiple versions of base FICO® Scores because the FICO scoring system is periodically updated as data reporting practices, consumer credit use practices and lender credit extension practices change over time. The FICO scoring system is updated to adjust to these changes to ensure it remains a robust predictor of risk. Just like there are multiple versions of a smartphone as new features become available, there are multiple versions of FICO® Scores. Industry-specific FICO® Scores help lenders more accurately assess the risk on a specific type of credit obligation, such as car loans or credit cards. Industry-specific FICO® Scores are grounded in the same algorithm as base FICO® Scores, but are tweaked to provide lenders a further-refined credit risk assessment tailored to the type of credit the consumer is seeking. For example, auto lenders and credit card issuers may use a FICO® Auto Score or a FICO® Bankcard Score, respectively, instead of base FICO® Scores. It’s important to understand that while each version has unique features, actions such as paying bills on time, using available credit responsibly and only opening new credit when needed can help you better manage your credit health. Seeking an auto loan? FICO® Auto Scores are the industry-specific scores used in the majority of auto-financing credit evaluations. Your auto lender can pull your score from any or all three bureaus. Looking for a new credit card? FICO® Bankcard Scores or FICO® Score 8 are the score versions used by many credit card issuers. Your credit card issuer can pull your score from any or all three bureaus. Refinancing or taking on a new mortgage? FICO® Score 2, FICO® Score 4 and FICO® Score 5 are used in the majority of mortgage-related credit evaluations. Most mortgage lenders will pull your scores from all three bureaus. For other types of credit, such as personal loans, student loans and retail credit, you'll likely want to know your FICO® Score 8, the score most widely used by lenders. Higher FICO® Scores are a result of healthy credit behaviors, and the best way to have higher FICO® Scores is to demonstrate healthy credit behaviors over time. Here are a few tips you can follow. Pay your bills on time. Delinquent payments and collections can have a major negative impact on your FICO® Scores. If you’re behind on payments, get current and stay current. Avoid having payments go to collections. Paying off a collection account will not remove it from your credit report. It will stay on your report for seven years. Keep balances low on credit cards and other "revolving credit". It’s okay to use your credit cards, just be careful about using a large percentage of your available credit — high utilization rates can have a major impact on your FICO® Scores. Don't close unused credit cards in an attempt to raise your scores. Your FICO® Scores consider the age of your accounts – the longer your credit history, the better. Do your rate shopping for a given loan within a short period of time. FICO® Scores distinguish between a search for a single loan and a search for a mortgage, student or auto loan, in part by the length of time over which inquiries occur. Have credit but manage it responsibly. Ultimately, having a mixture of credit is a good thing — as long as you make your payments regularly and on time. Someone with no credit cards tends to be higher risk than someone who has managed credit cards responsibly. Checking your own credit reports and FICO® Scores will not lower your scores. FICO® Scores are based on a snapshot of credit behavior. As behavior changes, so will that snapshot. Healthy credit decisions, such as paying bills as agreed and waiting for negative items to "age", will cause scores to improve over time. Checking your own scores will never impact your scores. Your income does not factor into your FICO® Scores. Not all credit scores are FICO® Scores. FICO® Scores — the most widely used credit scores — are used in over 90% of U.S. credit lending decisions. When you apply for new credit or a new loan, your FICO® Scores may impact your ability to get the best rates, terms and promotions. In fact, high FICO® Scores could save you thousands of dollars.